Another one of these yellow fungi appeared overnight. Like the others, it will turn a bright yellow during today and then slowly fade. Apparently its edible to at least these birds. If anybody knows the name of the bird specie, let me know. 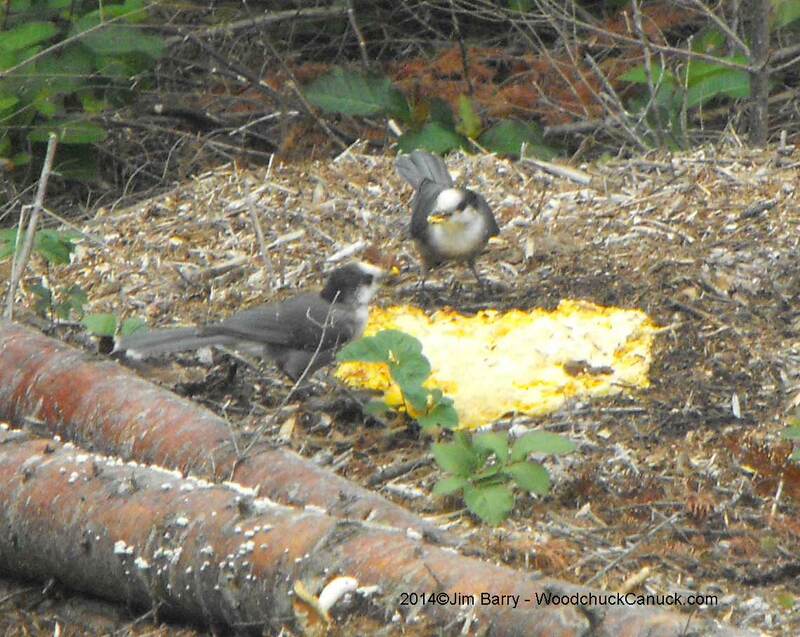 The bird is a whiskey jack or grey jay. They are super friendly and they will feed right from your hands. They love beans, bread, all kinds of stuff. We have them here in NL all over the place. I love them. They always come around when I’m in the woods on my atv. Hello fellow Newf 🙂 Thanks for indentifying the bird. We’ve been here 9 yrs, first time seeing these. Usually its bluejays, robins and chickadees. Thanks for identifying the fungi.